Home | News| About the Book | About the Author | About the Illustrator | See the Dollhouse | Buy the Book! The Blacksmith's Gift places Santa Claus as a carpenter in Norway around 1900. Possessing a powerful affinity with children, he is discouraged because he and his wife have not had a child of their own. He builds toys, but only for the imagined child he believes he will one day have. When he is asked to build a dollhouse for the blacksmith's daughter - a series of events lead to the birth of a legend. 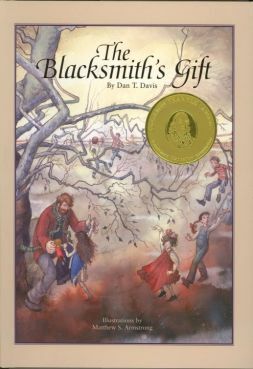 The Blacksmith's Gift emphasizes the 'true meaning of Christmas' and contains exquisite watercolor paintings; it's a wonderful gift book for just about anyone!